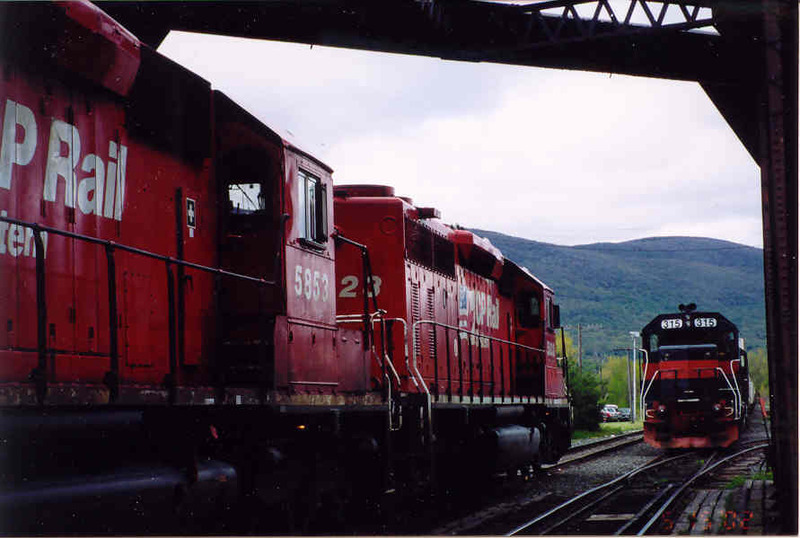 On Monday,9AM,May 15,2002 Guilford Train "AY-MO" meets CP power of the "MOED"in North Adams,Mass. 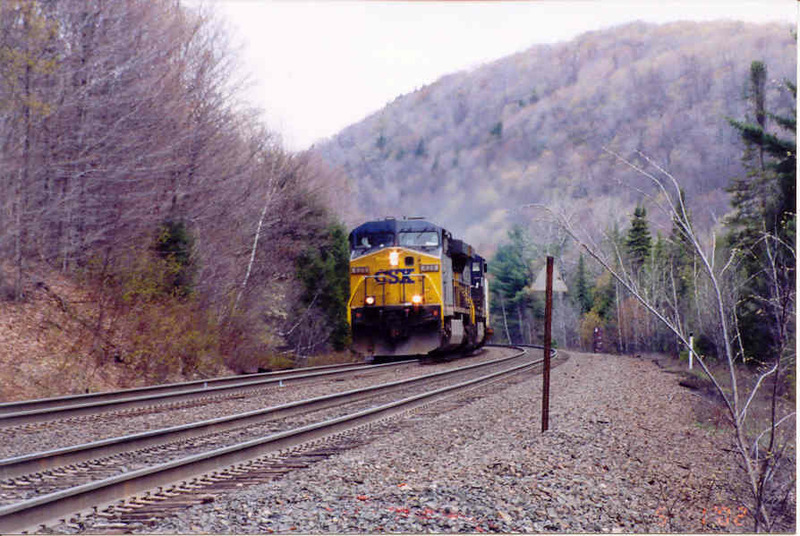 Guilford Train "AY-MO" clears North Adams,heads west to Mohawk Yard. 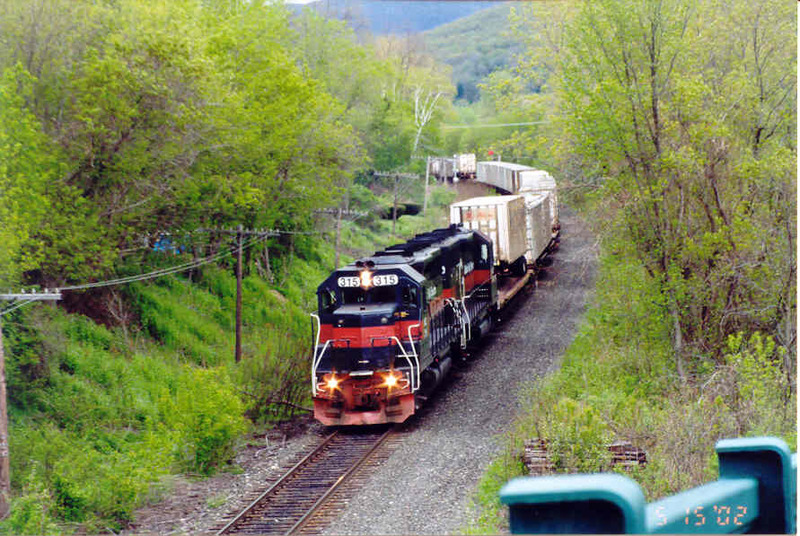 "AY-MO" passes under the Footbridge on Mass Ave.
On Wednesday,9AM, May 1,2002 CSX TV Train makes it's way down through Lower Valley Road in Washington,Mass. Heading toward Chester,Mass..